China’s state news agency announced that the lunar rover had died this morning. 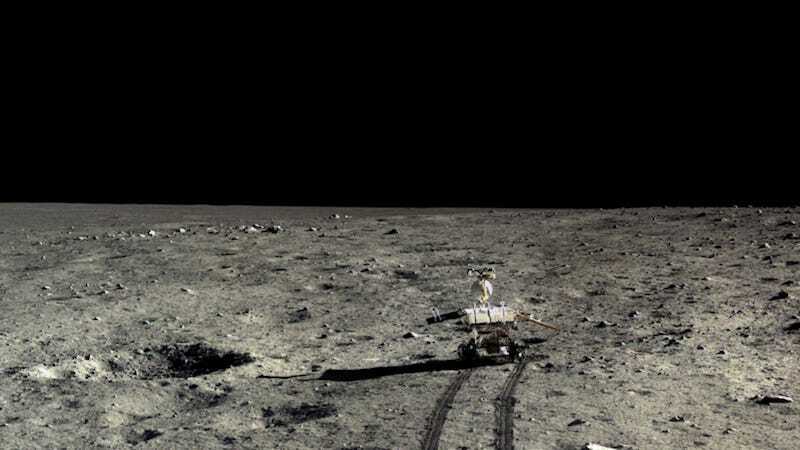 Yutu, or “Jade Rabbit,” as it’s also known, was previously ( and prematurely, it turns out) thought to be dead two years ago, in January, 2014. At the time, the rover appeared to have lost its ability to communicate with Earth. Scientists posited that the moon’s temperatures had simply been too cold for the rover, shutting it down. Then two weeks later, it unexpectedly sprung back to life and began sending them data again. The rover went on to live for over another two years. It’s unlikely that the rover is going to pop back from the dead this time, though. Jade Rabbit was only meant to last for three months and ended up lasting 31 months. In that time, the rover was slowly losing functionality. Even after it lost the ability to roll away from its current spot, Jade Rabbit continued to beam back data from which researchers were ultimately able to write over 100 articles for scientific journals. Update August 11, 12:30 p.m: Well, that was quick. It turns out that Jade Rabbit may already be preparing to spring back to life yet again. Emily Lakdawalla over at Planetary Society talked to the gbtimes’ Andrew Jones who told her that, according to officials with China’s science ministry, Yutu’s signals are still active. That means that the rover could be back in action, yet again, as soon as later this month. Whether it will actually manage it, though—and what kind of condition it will be in if it does—remain to be seen. See you soon (maybe? ), little zombie rover.